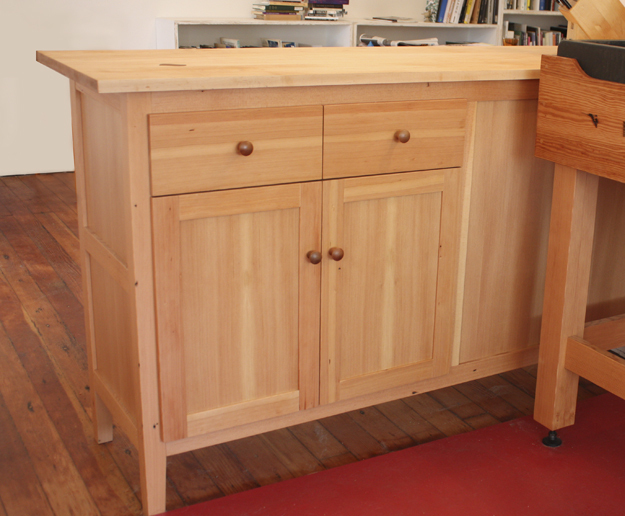 This island separates the living room from the kitchen–providing storage for both rooms. 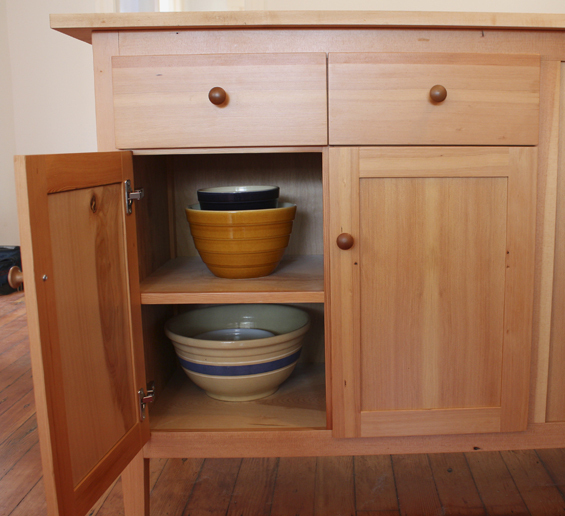 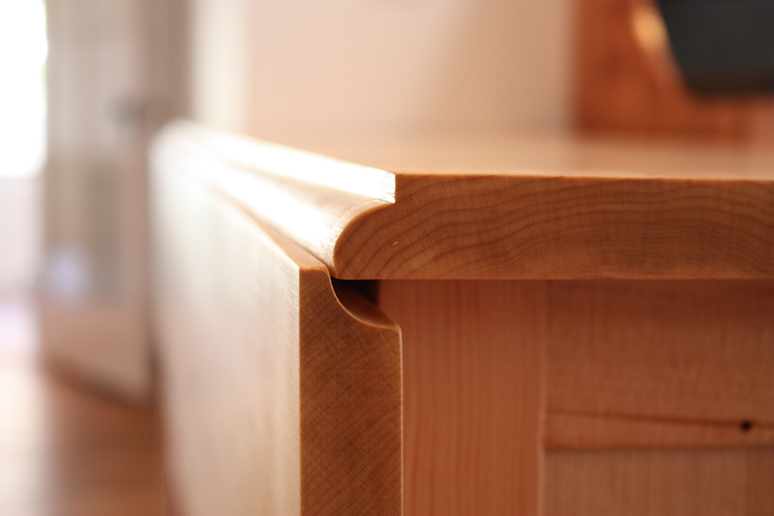 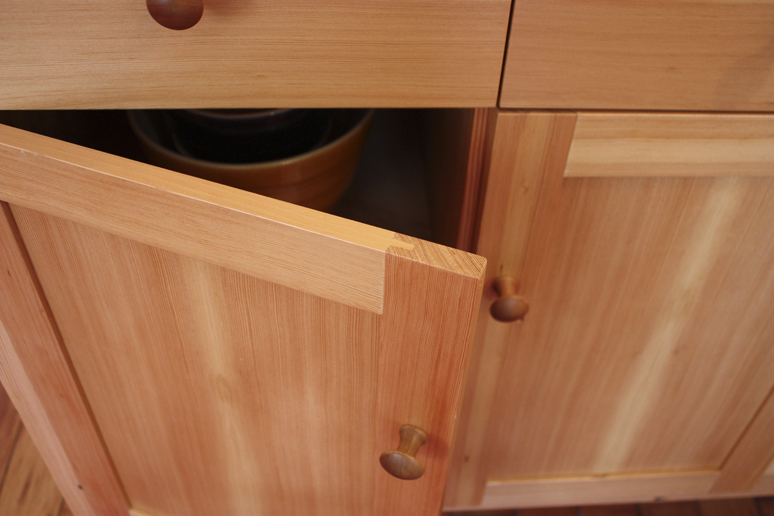 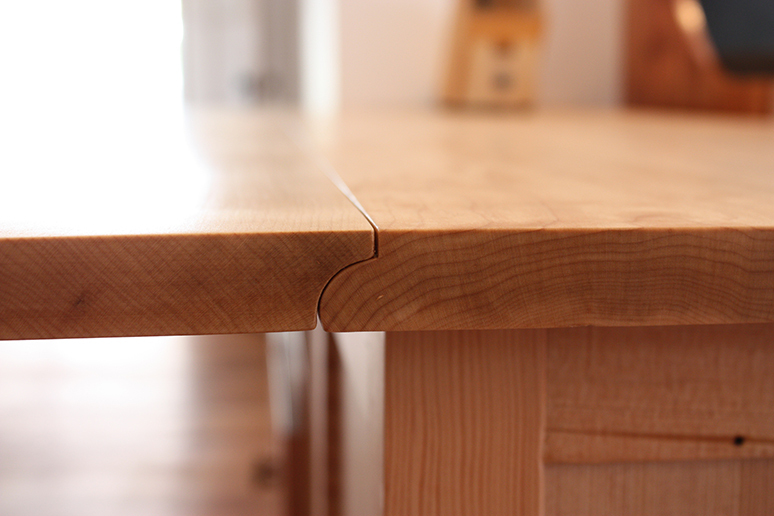 The maple counter-top serves as a chopping surface and has a flip-up extension for casual dining use. 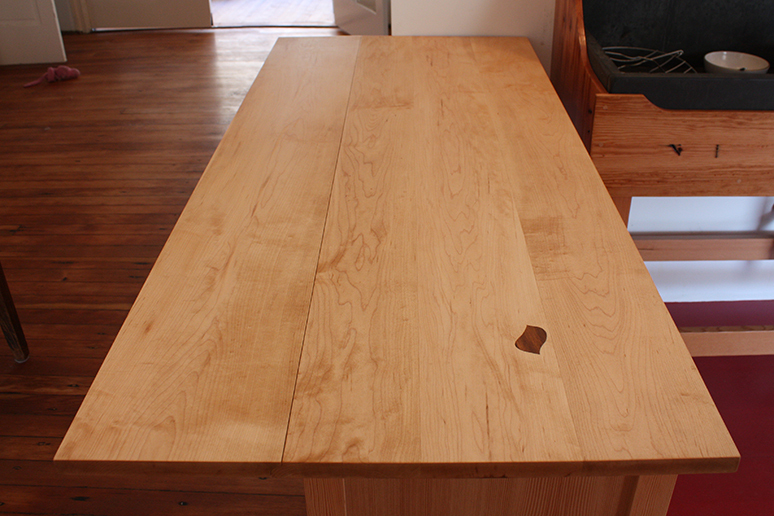 Reclaimed old-growth douglas fir trim, vertical grain douglas fir plywood carcass and panels, western maple countertop.